Hi again. Happy Monday! It's Mindy from My Creative Scoop. 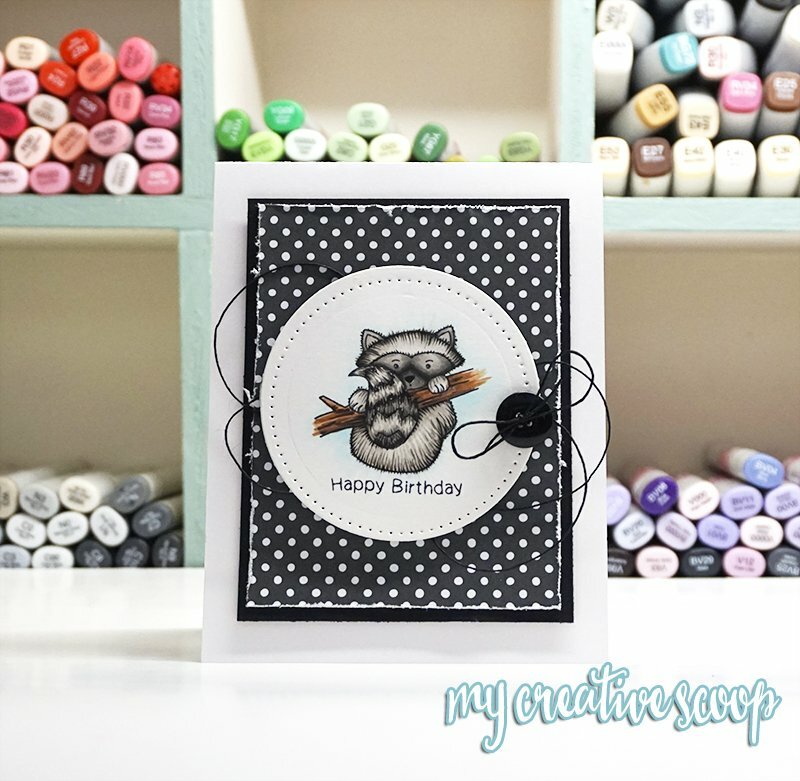 Today I have a super cute card using this brand new stamp from Raccoon Rascals set.. I love the way his fur turned out. 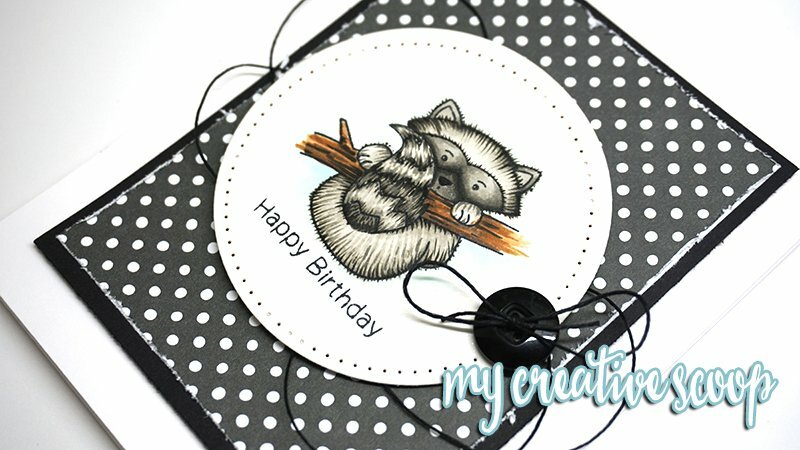 I really wanted this cutie to be my focal point so I didn't add too much to the card. Just a little twine and dimension. I used my Copic Markers W's, warm greys. I love the texture I created and how I made tiny little flicks on the outer part of the raccoon to create that texture and really bring the fur to life. I hope you enjoyed my card today. If you haven't yet already, head on over to Newton's Nook and shop the new release! Oh my goodness, Mindy, this is adorable!! I love his fur! Love love love! Super fun cute with gorgeous design! This is seriously the sweetest! LOVE the coloring of this adorable raccoon!